Golden Gate and SamTrans do it? Why not AC Transit? All buses converge on San Francisco's Transbay Terminal, all buses from other counties that is. 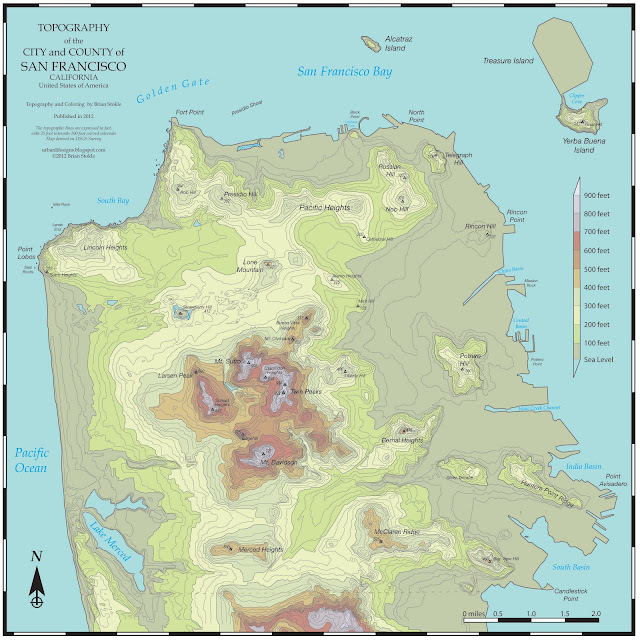 SF Muni buses can go wherever they want to - it's their county right? An AC Transit BA bus and Muni 108 Treasure Island leave the old Transbay Terminal a the same time. But you, the bus rider, the customer, simply want to get to your destination, whether to work, to visit a friend, or to enjoy a ball game or a night out. If you come into San Francisco from San Mateo County, or Marin County, you can take SamTrans and Golden Gate Transit buses respectively. If you're coming in from the East Bay, most folks take an AC Transit bus. Sure there's BART, and ferries, but many folks do not live near a BART station, so a long distance bus does the job. Golden Gate Transit and SamTrans weave their way through the city's streets along Van Ness, Mission, and Potrero streets, dropping off folks as they enter. The Transbay Terminal (currently the Temporary Transbay Terminal) in downtown San Francisco is their final destination, and their first pick up point. They then pick up people along their route through San Francisco as they leave. This allows for some of customers to get to destinations other than downtown with a once seat ride, or a single transfer. AC Transit does not offer this option. If you're going to San Francisco from Alameda or Contra Costa counties, and you're on an AC Transit bus, you get off at the Transbay Terminal. If you're going beyond Downtown San Francisco, you're required to make a transfer to a Muni bus or Muni Metro, or BART (if you're lucky). Note that when the new Transbay Transit Center opens to buses in 2017, bus routes and operations will be very similar to today's operations. Let's consider some destinations in San Francisco that an East Bay AC Transit Transbay bus rider might want to get to, and how they'd get there after arriving at the Transbay Center. SF State: Walk to Embarcadero Staton, then transfer to M-Oceanview. The bus transfer makes sense in most cases. 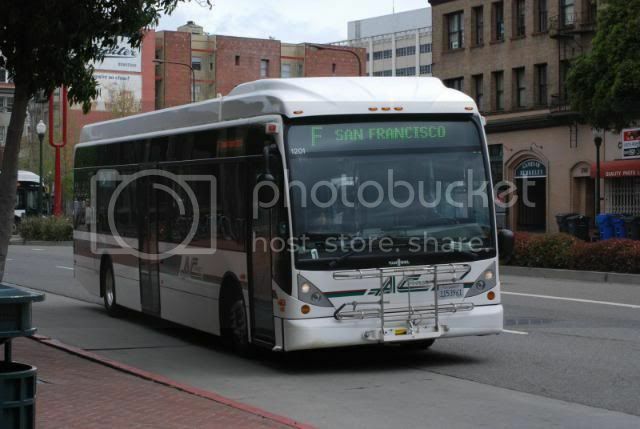 The majority of AC Transit Transbay Riders are likely going to Downtown San Francisco, so a special AC Transit bus to the Haight may not make sense due to low demand. However, what about high demand locations in San Francisco that are not within walking distance of the Transbay Center? An AC Transit route to a high demand location might be better served by an AC Transit route to avoid transfers and possibly induce more transit ridership (and reduce vehicular traffic on the Bay Bridge). In addition, some AC Transit Transbay riders, may not even have San Francisco as a destination, but rather somewhere in San Mateo County - which they would reach via Caltrain. In this instance, a rider must walk 2-3 blocks from the Transbay Center to the Folsom St. Muni Metro Station. Board an N-Judah or T-Third, and then transfer again at the 4th & King Caltrain station to board a Caltrain train. For example, if you live in Alameda, but work in Downtown San Mateo, you must transfer twice, and pay three times. I propose that some AC Transit Transbay buses go to a handful of high demand San Francisco destinations other than the Transbay Center. The 4th & King Caltrain Station, Civic Center, Mission Bay, and even parts of SoMa far away from BART. Buses serving these new SF destinations could be extensions of existing routes - stopping at the Transbay Center first, and then moving on to another area in San Francisco, or they could be completely new routes. "Passengers utilizing AC Transit to cross the Bay Bridge must transfer to another transit service to reach their destination, unless within walking distance. The forced transfer is a deterrent for potential AC Transit passengers. AC Transit buses could be routed to destinations beyond the Transbay Terminal, including Caltrain’s 4th and King Station, Mission Bay and other hubs, particularly those offset from BART. 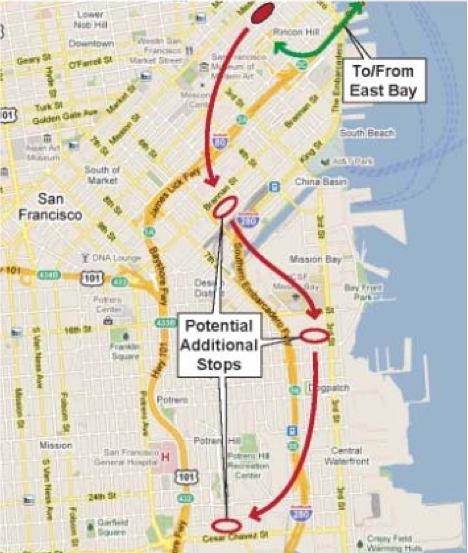 The buses could then return to the Transbay Terminal, or return directly to the Bay Bridge." If the Bay Area Toll Authority recommended this idea in 2012, then why has it not gained traction. Is it funding (for drivers and/or vehicles)? Politics as in Muni won't let AC Transit do it, or AC Transit isn't interested? or something else? 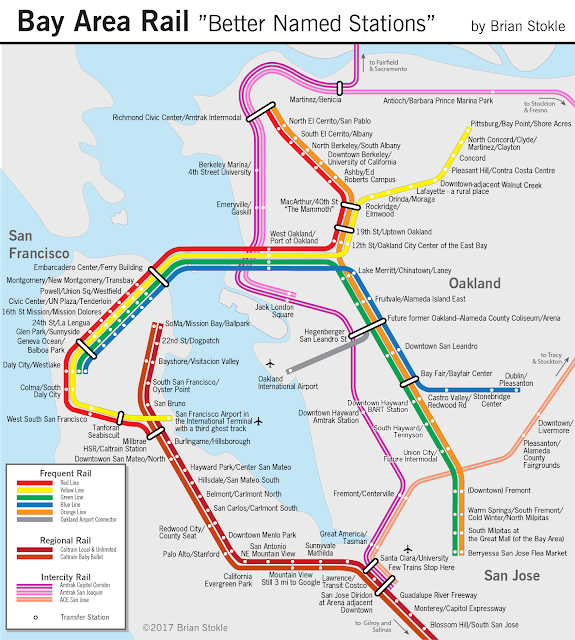 While we wait for the Caltrain Downtown Extension (DTX) to find funding and be constructed, we need an interim solution for folks to get from the East Bay to the Peninsula. Currently BART users have the option of getting to Caltrain by transferring at Millbrae or switching to Muni to reach the 4th & King Caltrain Station. Both options take a long time. Transfers at Millbrae are not timed well, and only Red Line trains (Richmond to Millbrae) serve the line. This means that if you lived in Rockridge or East Oakland, you would require a transfer at Daly City to get to the Millbrae station, then a transfer in Millbrae to get onto Caltrain. Such a trip would cost $5 on BART, and $2.75 on Caltrain (assuming use of Clipper Card) for a total of $7.75. This path requires two transfers, and requires folks to pay three times, not just twice as a BART-Caltrain would. A person going from Berkeley to Redwood City who takes Muni would pay $3.90 for the BART trip, $2.25 for the Muni trip from Embarcadero to 4th & King, and $4.75 on Caltrain, assuming they used a Clipper Card. That is a total trip cost of $10.90 one-way. In contrast, an AC Transit Transbay bus could connect the East Bay to the Peninsula much better with a strong single transfer. AC Transbay service from Berkeley or Oakland costs $4.20. A trip from 4th & King to San Mateo or Redwood City costs $2.25 for a grand total of $6.45. Fourth and King Caltrain Station could be accessed several ways. As shown in the map, new routes could access the station by exiting either Fremont St, Harrison St or Fifth St exits. For Fremont St, buses could stop at the current Temporary Transbay Center, then go down Howard or Harrison to Second Street, and on to Townsend heading westbound, with new bus stops across the street from the station between 4th and 5th streets or between 3rd and 4th streets. Buses would then return to I-80 via 5th Street onramps. Along Townsend Street, east of the Bike Station where tour buses currently pick up an drop off. There are also five regular parking spaces that are situated closer to 5th St that could be converted into one or two bus stops. 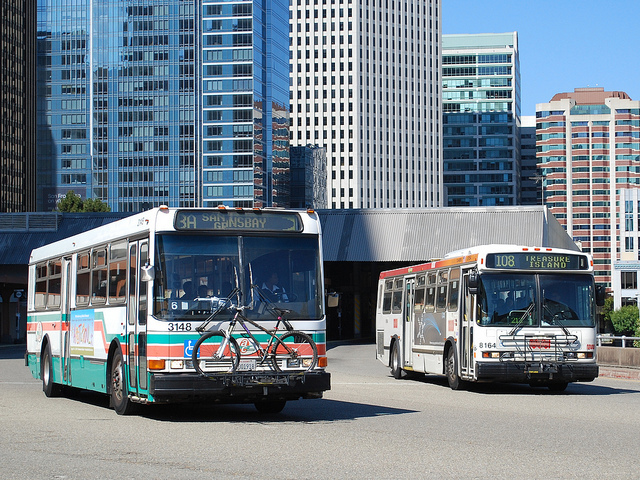 Buses would return to I-80 via 3rd or 2nd street to reach the Bryant St or Essex St onramps. Along King Street west of Fourth Street. Although this segment feels like an extended freeway ramp, it is still actually a street. Built 33' wide to accommodate three lanes, it is currently 2 very wide lanes, so adding 2-4 bus stops for AC Transit buses should prove doable. Buses would need to have a turnaround at 5th Street, which does not currently allow left turns. They would return to I-80 via 3rd or 2nd st, entering at the Bryant St or Essex St onramps. Another option is to have Fourth and King buses continue on to one or two Mission Bay destinations. 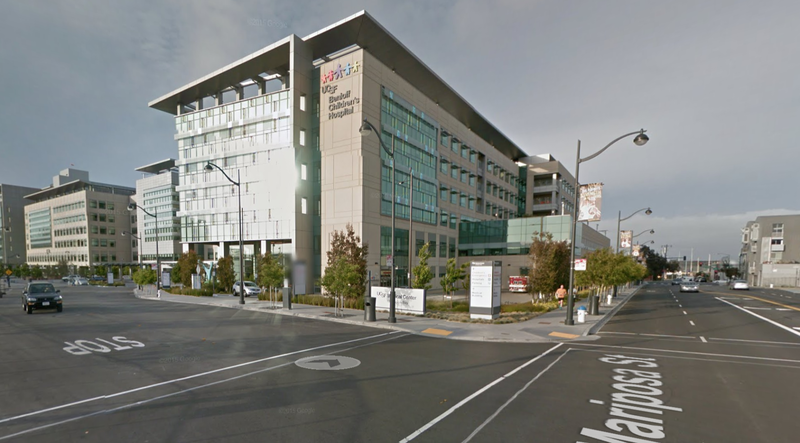 With UCSF Mission Bay, the new hospitals, and more businesses and residents in the area, building providing better bus service to/from the East Bay would seem to make sense. If Transbay buses stopped on King Street at the Caltrain station, they could continue south via I-280, taking the 18th St/Marioposa St exit, looping south to Mariposa and stopping at the hospital on 4th St where there is plenty of frontage along the curb. Buses would the route back north along Third St or Fourth St, and back on to I-80 near the Bay Bridge. Although Civic Center is along the BART spine, as mentioned earlier, there are many East Bay residents and destinations nowhere near a BART station. Civic Center has many government jobs, and many other jobs following the arrival of Twitter in the Mid-Market area. Buses could easily access the area from I-80 by exiting at the 9th St exit, heading north along 9th St, across Market onto Larkin St, passing Civic Center Plaza. Bus stops already exist for the 19-Polk bus in front of Civic Center Plaza. The route would loop back via Hyde and 8th Street or Polk and 10th Street, entering back onto I-80 at Bryant and 8th St. A longer loop could have the have buses turn east onto Golden Gate and south on 6th Street, returning to I-80 at the Bryant and 5th St onramp. You're right. It's a bit of a mess. I think there could be a way to make it work better by allocating more curbsides to buses. Also, there might be a way, to add bus bays along King St. The tough nugget is there is no real space for a bus transfer center. Of course much of this problem at 4th & King and with AC Buses to there would become moot whenever the Caltrain Downtown Extension is built. free way traffic is the root of all evil here i have to say without it the traffic will be flowing fast and convenient. Interesting observation, I think this really underscores how important it is to extend Caltrain to the Transbay Terminal. Exactly! In the short/medium term, we should provide a service like this to bridge the gap AND make the point. For SF State you would transfer to the M-Ocean View, not the N-Judah. My mistake. I was either thinking of UCSF but typed SF State, or just in a Muni haze. I'll fix it. 4th and King is already a clusterf*ck. There is absolutely no more room for additional buses there. Indeed it is pretty busy there with buses, bikes, and auto traffic. That all said, I think there are some opportunity sites for buses. Townsend btwn 5th & 4th just west of bike station, Townsend btwn 3rd and 4th on north side, but the one I'm most interested in is on King St between 4th & 5th. This one makes sense if the bus also stopped at UCSF Mission Bay Medical Center. Of course if this were to be added, examining all of the bus stops, shuttle stops, taxi stands, etc. would be required, and also reexamined once the Central Subway surface rail starts construction. When that construction starts it will be a bigger cluster than currently. That all said, I take the messy situation as a challenge to make it better. AC Transit is following rules set down decades ago by Key System, their tracks only went to the Transbay Terminal (where there was no storage space, so empty trains had to return to the East Bay). Except tor the nighttime 800 series lines that serve San Francisco, no AC Transit bus in regular service makes stops on a San Francisco street that is outside the temporary Transbay Terminal. Whether or not AC Transit buses should serve other destinations in San Francisco is up to AC Transit and Muni. Interesting info about the Key System and sending empty trains back to East Bay. Yes it's up to AC Transit and Muni to work this out. I'm advocating that they move forward and figure out a way to make this happen. In the cases of SamTrans and Golden Gate Transit, these routes use city streets to access downtown SF. AC Transit already access downtown SF directly from the bridge. If AC Transit were to serve 4th & King, it would also extend beyond 4th & King since there's no layover space there. That might be UCSF Mission Bay, SF General, or other destinations with large employment. 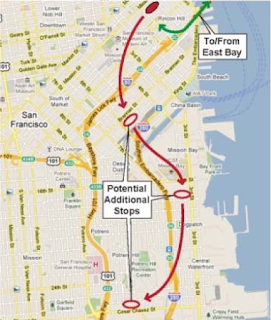 If that route isn't going to serve Transbay, where should it go with either sufficient ridership to 4th & King and beyond, and/or provide connection to other AC routes? Golden Gate Transit provides limited service along Geary but ridership is mediocre compared to the bulk of the service along Van Ness or Financial District. Transfer to other routes is available at the GGB toll plaza. Great post, Brian. Hope that it gains further attention and follow-up. Before moving back to PDX, I lived in Oakland and worked in San Francisco and San Mateo. Really wanted a better alternative that involved transit and biking. Chalk this up to the general confusion of 26 transit agencies in the bay area. It could be worse, at least there are many example of route overlap between agency jurisdiction. Also, the way most funding is parsed out encourages simple boundaries between agencies. There are three all-day transbay lines, F through Emeryville into Berkeley, N, Grand and MacArthur out to Eastmont, and O, into Alameda. I'm guessing the majority of these riders are better served by dropping them at Transbay then deciding some of the buses go to Caltrain or all the way into Mission Bay. From your maps, you break all connections with the bulk of transit in SF near Market Street in favor of SOMA and Caltrain. Does every other bus on the transbay lines go to Caltrain? Does one of the three transbay lines go to Caltrain? Who pays for the additional cost of operating the longer lines, because those buses are going from a quick loop from the bridge into very congested and unpredictable traffic? I don't think you're going to be providing a better transbay trip by changing the destinations of some transbay buses to Caltrain. If anything, take the MUNI 25 from Treasure Island, which serves the Transbay Terminal, and extend it to Caltrain and Mission Bay. Probably a much cleaner solution if there is a problem.